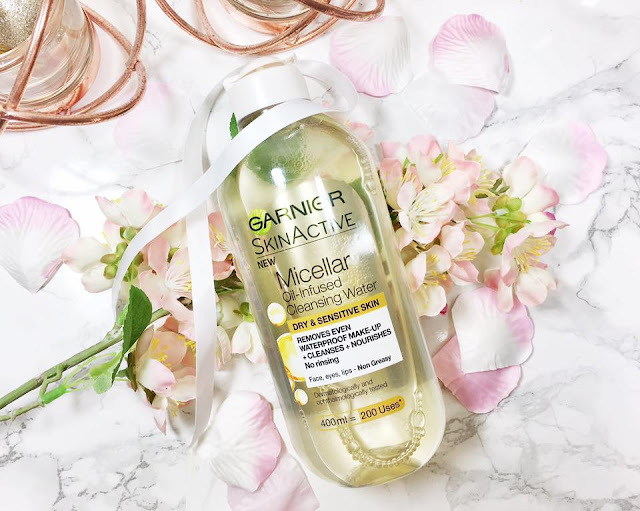 Todays post I thought I would share with you my thoughts on the Garnier Micellar Oil-Infused Cleansing Water, thats a bit of a mouthful isn't it ha! Okay, so like a lot of other beauty bloggers and beauty lovers I really enjoy using Micellar waters to remove my makeup. The Garnier original and the Bioderma Micellar cleansing waters are the two most popular ones. I however have only used the normal Garnier one, well until now. I first used the Oil-Infused micellar water when I was at my sisters house and I instantly loved it. Not only did it take my makeup off really well it also left my skin feeling hydrated. It is for Dry & Sensitive skin, removes waterproof makeup, cleanses & nourishes. It is also non greasy which is why I decided to buy it for myself as I have rather oily skin. My skin doesn't feel oily or greasy after using this in the slightest, only soft and clean. I put off buying this for a while as I still had some of the original one left over but I have been using this one everyday for about two weeks. 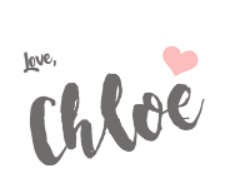 It removes my makeup really well and rather effortlessly, however I tend to have to go back in with a makeup wipe to get all of the mascara from my lashes. The micellar waster is perfectly able to remove all traces of makeup including mascara but I have short lashes which makes using cotton pads to remove all traces difficult. The Oil-Infused cleansing water is a little more expensive than the standard one, This one costs £5.99 but it is often on offer. It's currently on offer in Boots for £3.99. I don't think I will be going back to using the original Garnier Micellar Cleansing water as this one is so good! Have any of you guys used micellar waters, what one is your favourite?